Home / Market Insight, Financial Articles / Pinterest IPO: What Can We Expect As Another Unicorn Comes To Market? The Pinterest initial public offering is expected to hit the markets next week. Of course, the offering will be a big one — with the amount raised estimated to reach $1.2 billion. The shares will trade on the Nasdaq under the ticker symbol PINS, backed by the lead underwriters Goldman Sachs (NYSE:GS), JP Morgan (NYSE:JPM) and Allen & Company. OK, then, so how are things tracking with the Pinterest IPO? What can we expect? First of all, let’s get a backgrounder on the company. Launched in 2010, during the wake of the grueling financial crisis, the founders set out to create a unique digital property. The focus was on being a discovery platform, not a typical social network or a search engine like Facebook (NASDAQ:FB), Alphabet (NASDAQ:GOOGL) or Twitter (NYSE:TWTR). Users on Pinterest can easily create visually compelling boards with photos and videos of particular topics or events, say hobbies, recipes, weddings and so on. But interestingly enough, these creations are often the gateway for making purchases. In fact, according to researcher Talk Shoppe, nearly 70% of Pinners (that’s what users call themselves) say they have discovered new products to purchase on Pinterest. 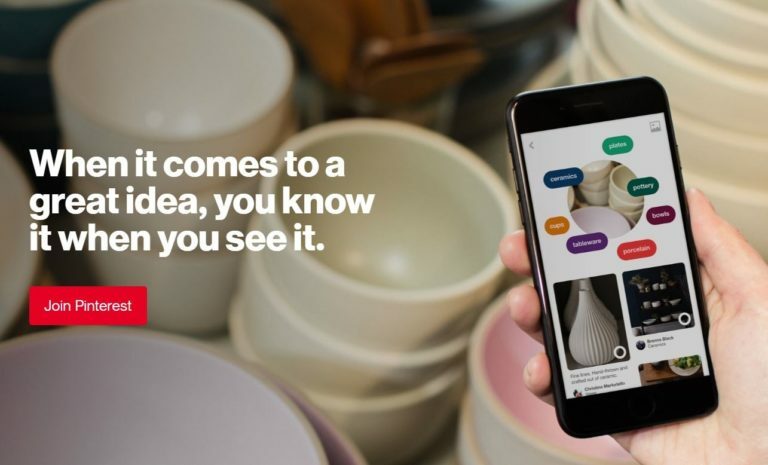 Pinterest continually innovates the platform. For example, a key has been the use of machine learning and computer vision, which has helped provide for better visual-based searches. All in all, these efforts have led to the creation of one of the world’s top web properties, with more than 250 million monthly active users (MAUs). About two-thirds those MAUs are women, generally considered to be the primary decision-makers for buying products and services for the household. And Pinterest has had lots of success monetizing those MAUs. Last year, revenue came to $756 million, up 60% on a year-over-year basis, while the company continues to post losses, which were $63 million last year. The market opportunity is definitely massive, giving Pinterest much runway for long-term growth. According to research from IDC and referenced in the platform’s SEC Form S-1, the digital advertising market alone is projected to grow to $423 billion in 2022 from $272 billion in 2018, or a 12% CAGR. The recent Lyft (NASDAQ:LYFT) IPO is a cautionary tale of the whims of the new issues market. The company recently came public with much fanfare but sputtered in the aftermarket. The stock has dropped from a high of $88.6 to $67.44. In light of this, the ultimate pricing of Pinterest stock may be somewhat more tempered. Based on the high-end of the range, the market value is about $11.3 billion, which is actually below the $12 billion valuation from a year ago. Now this is a good thing for retail investors who generally do not have a chance to get shares pre-IPO. But then again, Pinterest may still up the range, depending on the underlying demand. Something else to consider: The Pinterest IPO could easily get overshadowed. Uber has an offering in the works, which is expected to raise $10 billion at a $90 billion valuation. There will also likely be a flood of other well-known unicorns that come public, like Slack and Palantir. Finally, regarding high-profile IPOs, you should expect lots of volatility. Swings of 20% to 30% — either way — are pretty normal. In some cases, such as with Snap (NYSE:SNAP), there can be steep drops in the valuations. Two years post-IPO and the Snapchat maker is still trying to climb back to its newly public highs. This is why it’s advisable to use your high-risk portion of your portfolio for IPOs, regardless of how solid the company may be. Article printed from InvestorPlace Media, https://investorplace.com/2019/04/pinterest-ipo-what-can-we-expect-as-another-unicorn-comes-to-market/.